Shangarry Central National School opened in 1919 as a two teacher Church of Ireland N.S. In the early days it had an enrolment of 40 –50 pupils. But sadly with only two pupils left in the school – the smallest enrolment in Ireland, the school closed its doors for the final time on Wednesday 27th June 2001. Mrs. Myra Bradley taught in the school for 41 years and retired in 1998. She was appointed Principal of Shangarry School in 1957, when she replaced Mrs. Parker. There were 14 children on rolls then. By 1976 numbers had increased to 39. Paul Russell was appointed as assistant teacher. Being a male teacher, he had to teach the Seniors. He spent seven years in Shangarry School and then moved to a school in Limerick. Mrs. Elizabeth Carpenter from Baltinglass was appointed as assistant teacher in his place and she taught the Seniors for another seven years. When numbers declined to 24 Mrs. Carpenter was put on the panel and was transferred to Carlow. Shangarry School became a one-teacher school again. There were 13 children on rolls when Mrs. Bradley retired and Mrs. Geraldine Mallon, a native of Tipperary became the new Principal. 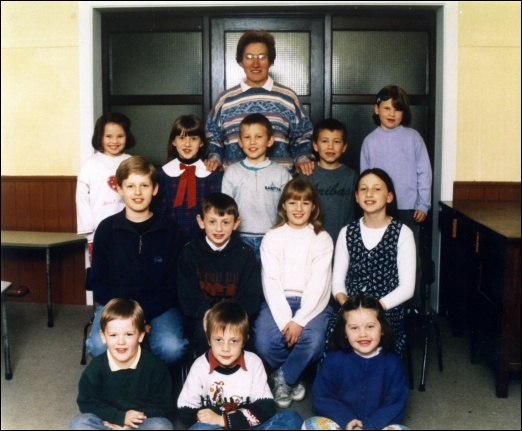 At the end of June 2001 a number of past pupils and parents were present to record the end of 92 years of continuous education at the school and it was a very nostalgic occasion when teacher Ms Geraldine Mallon a native of Co. Tipperary turned the key in the door for the last time. 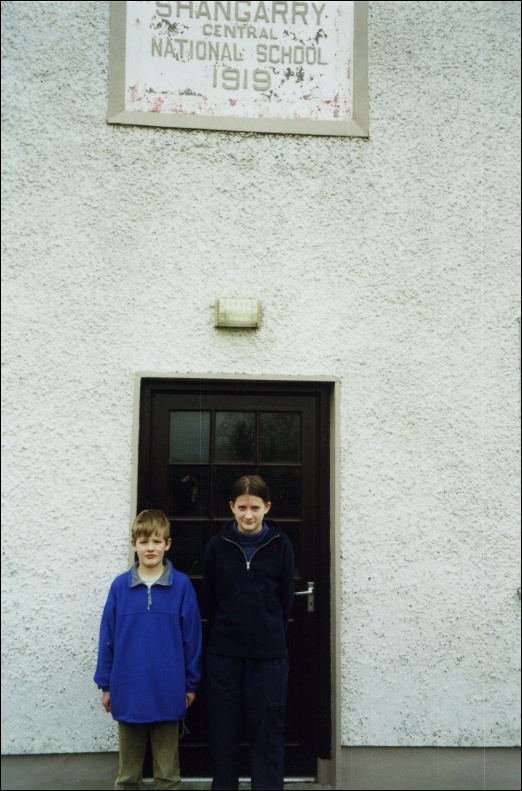 The last two pupils in the school were Louise Grothier (12) and Andrew Corrigan (10). Shangarry School had the smallest enrolment in Ireland when the school closed its doors for the final time on Wednesday 27th June 2001.